What Are the Soil Types for Oregano? Oregano is an herb that has been used for centuries, both for cooking and medicinal uses. The botanical name is Origanum vulgare and it is a perennial that comes from the area around Europe’s Mediterranean Sea. You might know oregano for its use in Italian foods such as pizza, but other cultures also value this herb for its pungent flavor. Oregano is easy to grow, either as a potted plant or in the garden. Whether you grow your oregano in a pot or in your garden, it will thrive when the soil pH is between 6.0 and 8.0. This means it is an adaptable plant that can live in soil that is slightly acidic to very alkaline. Soil alkalinity can measure as high as 9.0, which is very alkaline, and oregano will still be fine, but it prefers a slightly lower pH. It’s easy to test your soil with an inexpensive soil test kit you can purchase at a garden supply store. Many herbs are considered weeds, and because of this, they are not particular about the soil in which they grow. 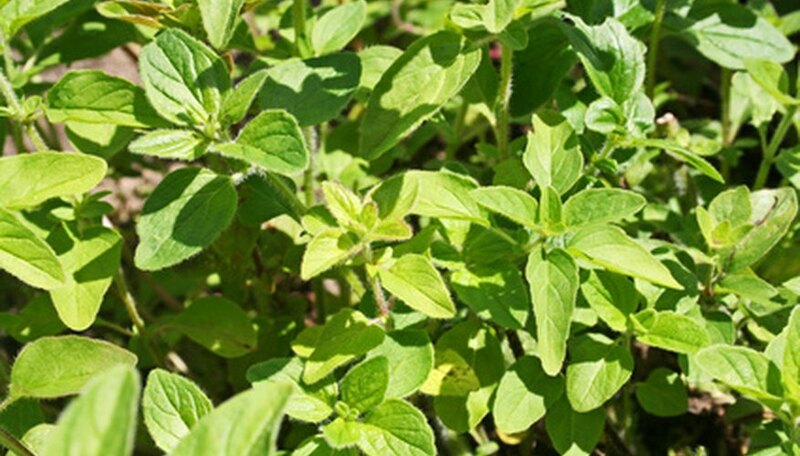 Oregano is no exception--it will grow in soil that is only moderately fertile. Adding compost and fertilizer to its growing area is not recommended because large amounts of nutrients, such as nitrogen, can change the flavor of this herb. If your soil is sandy loam it is considered “light,” and is best suited to oregano. If your soil is moist with lots of organic matter, oregano will not perform as well as it does in lighter soil. Light soil is typically fairly well drained, and oregano needs this feature in its soil because it does not thrive unless you allow its soil to dry out between waterings. Although oregano generally does better in the garden than in a pot, if you want to try growing it as a container plant, choose a potting soil that is slightly alkaline. Acidic potting soils that are designed for azaleas and other acid-loving plants will not be compatible with oregano’s needs.